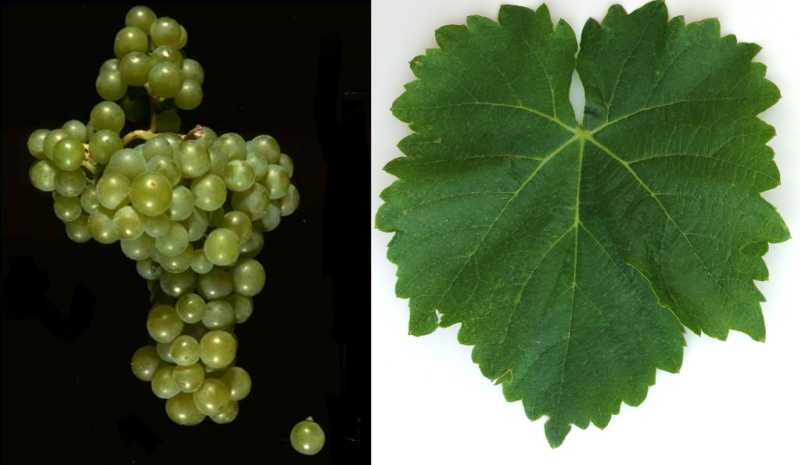 The white grape variety is a new breed between Sylvaner x muscatel ( Muscat Blanc ). Synonyms are Geilweilerhof I-28-30, Morio Muscat and Morio Muskotaly. The crossing took place in 1928 by Peter Morio (1887-1960) at the vine breeding institute Geilweilerhof in Siebeldingen-Palatinate. The variety protection was granted in 1956. Made in 2012 DNA analysis the white burgundy (Pinot Blanc) indicated in the breed list as father's strain had turned out to be wrong. There have always been doubts about parenting, as it was impossible to explain the muscat flavor. About the Enlightenment, there is a special story, because so to speak on the deathbed had been an employee of Morio, the Silvaner intentionally pollinated not as applied with pollen from Pinot Blanc, but from Muscat. The medium to late ripening, high yielding vine is very prone to Botrytis and real mildew, as well as moderately for downy mildew. It provides acidic white wines nutmeg, as well as lemon and elderflower aromas. Until the early 1970s, the variety was in Germany very popular, but since then the stock is declining sharply. In 2009, she occupied there only 488 hectares of vineyards (compared to 1,481 in 1999), especially in the two growing areas Rheinhessen and palatinate, In Austria she does not appear in the grape variety lists. There are more stocks in South Africa (39 ha) and supposedly in Japan, In 2010, a total of 527 hectares of vineyards were reported (Statistics Kym Anderson ). This page was last modified at 28 December 2018 at 16:24.